Dowsett Family LLC (“Dowsett” or “We”) respect your privacy and are committed to protecting it through our compliance with this policy. 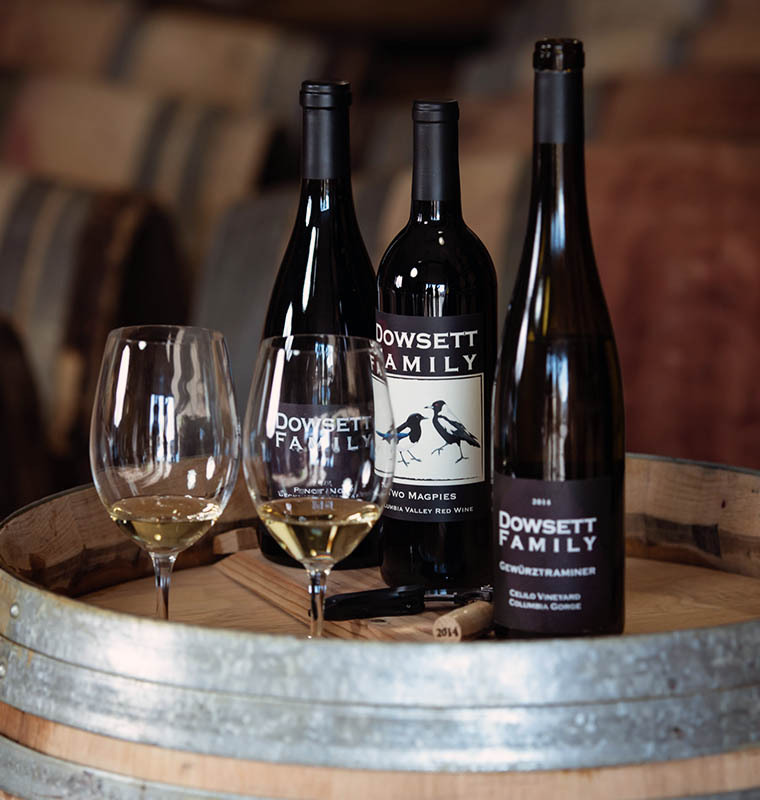 This policy describes the types of information we may collect from you or that you may provide when you visit the website https://dowsettwines.com (our “Website”) and our practices for collecting, using, maintaining, protecting, and disclosing that information. In store when you sign-up for our newsletter. Information that you provide by filling in forms on our Website. This includes information provided at the time of subscribing to our newsletter, posting material, or ordering products. We may also ask you for information when you report a problem with our Website. You also may provide information to be published or displayed (hereinafter, “posted”) on public areas of the Website, or transmitted to other users of the Website or third parties (collectively, “User Contributions”). Your User Contributions are posted on and transmitted to others at your own risk. We cannot control the actions of other users of the Website. Therefore, we cannot and do not guarantee that your User Contributions will not be viewed by unauthorized persons. To notify you about changes to our Website or any products we offer or provide though it. We may also use your information to contact you about goods that may be of interest to you. If you do not want us to use your information in this way, please click on the “unsubscribe” link in any promotional email. To a buyer or other successor in the event of a merger, divestiture, restructuring, reorganization, dissolution, or other sale or transfer of some or all of Dowsett’s assets, whether as a going concern or as part of bankruptcy, liquidation, or similar proceeding, in which personal information held by Dowsett about our Website users is among the assets transferred. If we believe disclosure is necessary or appropriate to protect the rights, property, or safety of Dowsett, our customers, or others. Promotional Offers from Dowsett. If you do not wish to have your contact information used by Dowsett to promote our products, you can opt out by clicking the “unsubscribe” button on any email from us or at any other time by sending us an email stating your request to [email protected]. If we have sent you a promotional email, you may also send us a return email asking to be omitted from future email distributions. California Civil Code Section § 1798.83 permits users of our Website that are California residents to request certain information regarding our disclosure of personal information to third parties for their direct marketing purposes. We DO NOT disclose personal information to third parties for their direct marketing purposes.